Voters arrived and departed at a Mass. polling place in 2016. The Boston City Council considered Tuesday whether some non-US citizens should be able to vote in municipal elections — a change some say would boost rights for legal immigrants already contributing to their communities, while others expressed concern it would lessen the value of privileges granted to current citizens. City Council President Andrea Campbell sponsored the hearing, which looked at voting rights for permanent residents, visa holders, Deferred Action for Childhood Arrival recipients, and those with Temporary Protected Status. There is no official proposal yet, and any changes would need approval from the state Legislature and Governor Charlie Baker. Non-US citizens cannot vote under state and federal law. The hearing examined voting as well as other ways the city can increase engagement with immigrants. “What are concrete steps we can take at the local level to make sure our folks in our immigrant communities are more included, have more direct participation opportunities in their government, and are valued?” said Campbell, when asked why she called for a hearing on the issue. Councilor Ayanna Pressley said at the hearing that “all of us” deserve a say in governance. But Councilor Michael Flaherty, who opposes giving non-US citizens a vote in city elections, said he considered such a right a “sacred” part of US citizenship. “We run the risk of watering that down by either allowing folks to come in the back door or cut the line or expedite the process,” he said. Some advocates for immigrants also expressed concern over whether such a system — allowing people in vote in city elections but not state and federal contests — could cause confusion. Federal law bars anyone who votes illegally in an election from ever becoming a citizen, said Veronica Serrato, executive director of Project Citizenship, an organization that aims to help legal residents become US citizens. This issue arises, she said, when people who vote legally in municipal elections mistakenly vote in neighboring cities or state and federal elections. “Allowing thousands of noncitizens to vote does not outweigh the risk to even one noncitizen of being denied citizenship or being deported,” said Serrato, who testified at the hearing. If Boston moved forward with allowing non-US citizens to vote, it would become one of the largest municipalities in the country to do so. Immigrants made up 27 percent of the Boston’s population in 2014, according to a city report. Boston has an estimated 48,000 legal permanent residents, according to Serrato. Takoma Park, Md., a suburb of Washington, D.C., has allowed noncitizens to vote in local elections since 1993. A city clerk who called into the hearing said about 300 non-US citizens are registered to vote in their elections. 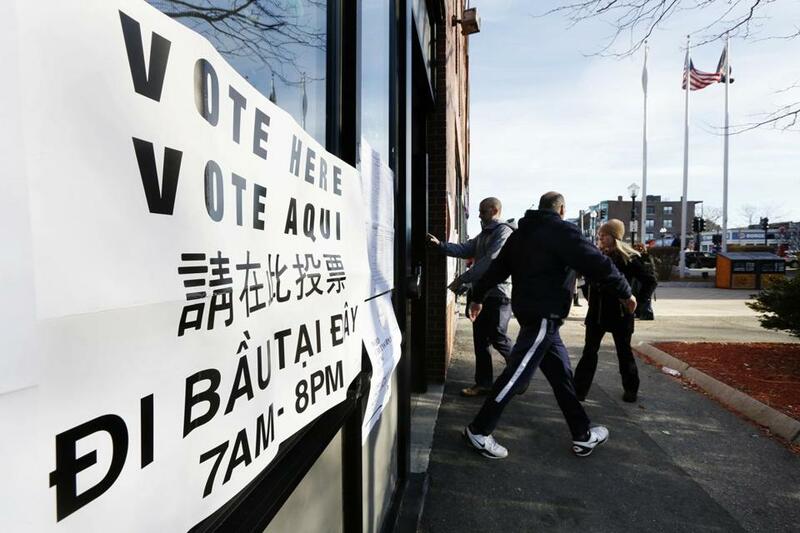 Some Massachusetts cities, including Cambridge and Amherst, have recently moved to allow immigrants with legal status to vote in their cities. But those measures have stalled at the State House, which has yet to sign off on those home-rule petitions. Councilors Josh Zakim, Lydia Edwards, Annissa Essaibi-George, Ed Flynn, Kim Janey, Michelle Wu, and Pressley also signed on to the order, putting more than half of the council behind the effort to study this possible election change. But, in suggesting support for more people participating in city elections, Pressley pointed to the low voter turnout in the recent mayoral race — about 27 percent.